There has been many games that get called the ultimate sandbox game. After playing Minecraft I have to say this has to be one of the top ultimate sandbox games. In this review I will talk about why this IS a ultimate sandbox game, why you will have so much fun playing the game and why you should buy this right now! 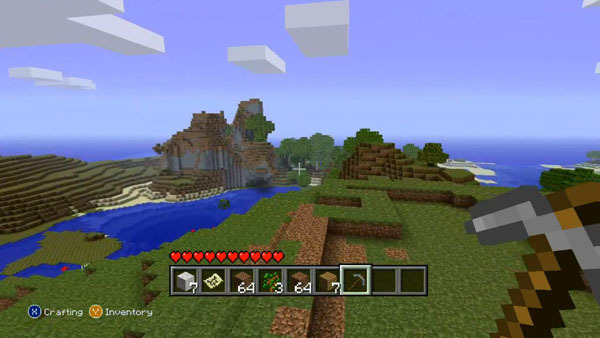 To be honest I have never played Minecraft ever so the Xbox edition is my first time playing the game. I bought the game, downloaded it and I am now saying "what do I do? "and since I said that I pretty much did anything I could think of. As a first time player of Minecraft I found myself getting a little confused on what to do but when I got into the game I was having a lot of fun. One of the many things I liked about Minecraft was the use of resources that you have to get. You can get things like wood, dirt, stone and other things. These can be then used to make tools for example but that is one of many different things you can make. your resources from trees, so you can get blocks of wood which you can turn into sticks and planks. After you have the sticks and planks you can start making tools which will help you get better resources which means you can make advanced things like ladders and stairs. There is many, many things waiting to be made. I also liked the parts when it changes from day to night because when it goes dark the enemies of the game show up and you can choose to be brave and fight them which isn't a good idea at first because your character is very basic in what he can do so he will end up dying. This means you will drop all of your items at the place where you died, so you will have to go find them and get them back. You can also be smart and make a building to hide out in until the sun rises so you don't have to cross these enemies. The enemies you can face at night can be the undead or spiders. It should also be noted to new players that this game isn't about doing quests or missions that are set for you to do, you make your missions which can be anything like build a huge castle or something small like make some new tools. The Xbox edition of Minecraft also includes online mulitplayer which in my opinion a great addition to the game because of the amount of fun you are guaranteed to have with friends while playing Minecraft. Online can support up to 8 people while 4 people can play locally as the game also has a split screen for local multiplayer. Both of these are awesome and will end up making the game even better as you can use your creative minds together to make whatever you feel like. This game will keep me and should keep anyone reading this review entertained for hours and hours. The single player mode is confusing at first but once you get the hang of it you will be hooked on this game. The price isn't your normal 1200 points arcade game its a little more this time as it will cost you 1600 points but in my opinion it is worth it because not only do you get this great single player game you can also have fun with friends locally or even on Xbox live with online friends there will also be updates adding more and more content to game which is always a plus that people can look forward to. The game isn't perfect as it has a few hicups here and there but I didn't come across anything really bad. 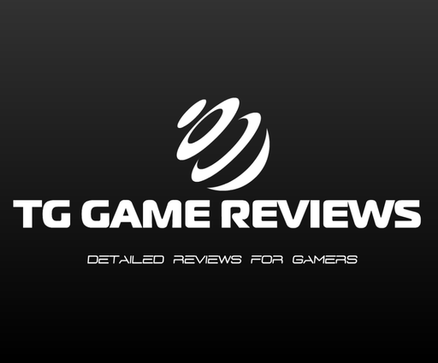 Now you read the review you should defiantly look in to downloading this game check some videos and see if its your kind of game and if it is then download it for sure!